Today is the eighth day, of the eighth month, and eighty-eight years ago, a very special woman was born. Today she is visiting Crater Lake, in Oregon. We wish we were there with you Grandma E, because you are a lot of fun to be with. She enjoys life, and appreciates even the simplest pleasures. Every year I think: We should have a big party for her, like when she turned eighty. And it makes me sad to realize that time is passing and I have not been passing enough of it in her company. But this day is too good to dwell on regrets, and Grandmother has taught me enough to know that love can reach the furthest places. So from here to there, this post, and all of our love, is for you Grandmother. When I am happy, when I am enjoying simple pleasures, I feel my Grandmother's love, and it is wonderful. Yesterday was such a day, when I thought about Eunice, my grandmother, and knew she would enjoy the fun we were having. 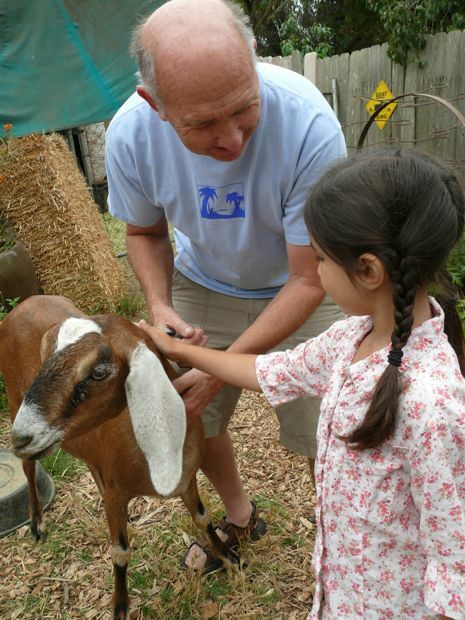 Maria and I were invited by friends, Olivia, Sandy, and Myron to visit the goats, turkeys, chicken, and dog they are caring for. Do you think I could resist?! And yes, I wore my boots, and my cowgirl shirt with the roses. And I felt giddy with anticipation. Maria and I were the only ones up Saturday morning. 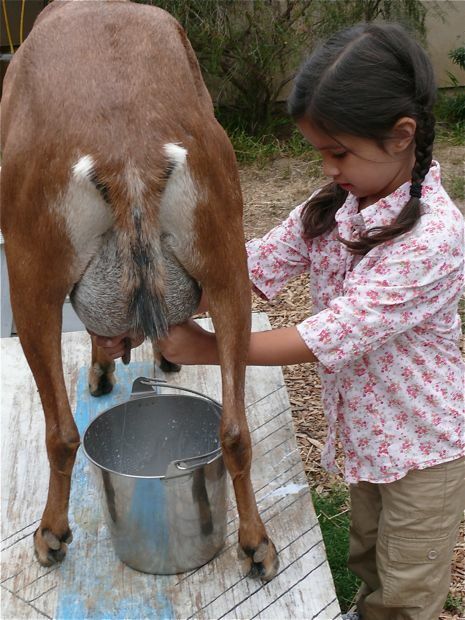 Which was totally worthwhile, because early rising farm girls get to milk goats! After watching Olivia get Clarabelle started, Maria was ready to give it a try too. Without hesitating or protesting, Maria went right to work. And she was good at it! 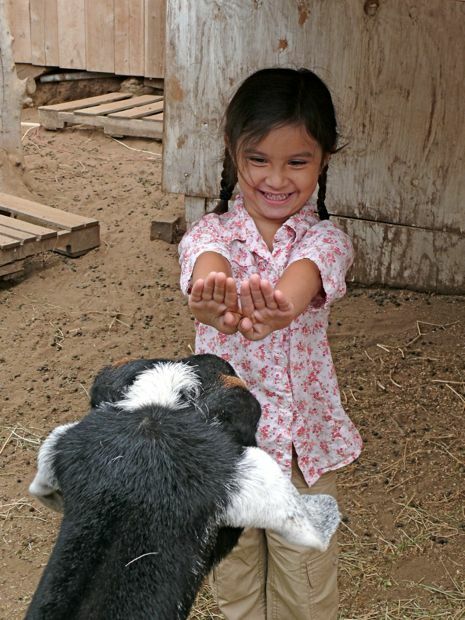 I was so proud to hear Maria say, "I want to try everything you are doing, so I can learn." 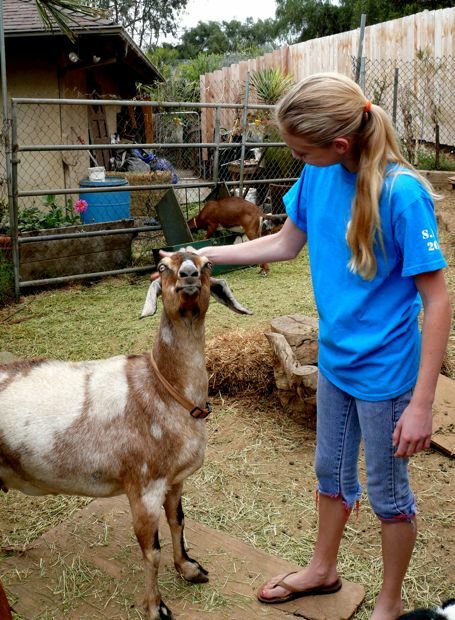 She paid close attention to Olivia, and never let any of the jobs, or pushy goats, intimidate her. 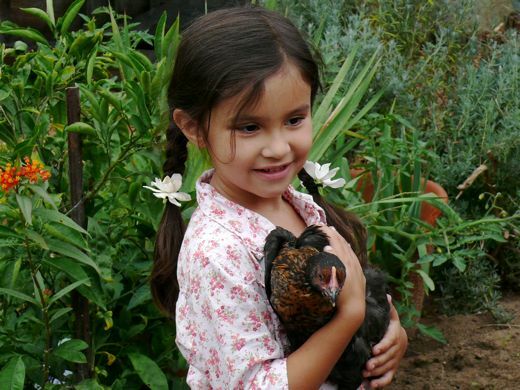 Maria and I have agreed to be farmers together when we grow up,, and as our own little farm grows, Maria reminds me, "We don't have to get bigger to be farmers, because we are farmers right now." This is Maria's friend and FRC buddy, aka "the silly guy." Myron and Sandy gave us a complete farm tour. It was so much fun to see all the animals and spend the morning with them. 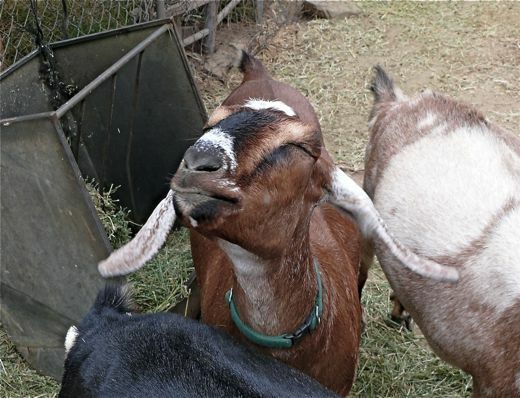 I love goats. I love her "love me" expression. She's waiting to be nuzzled and adored. Those ears! Those lips! Everyone was careful to warn us about this one, Hazel. Hazel has been around. She's done having kids, and she's done putting up with any nonsense. 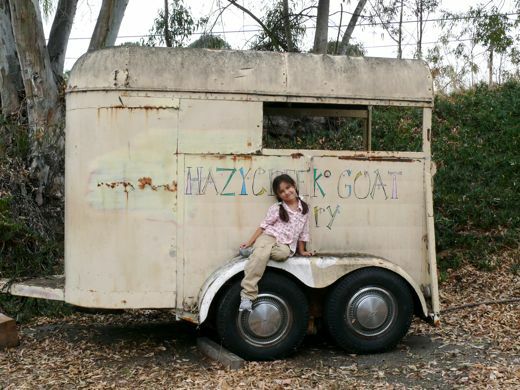 She is a cranky goat, and she doesn't care who she bullies to get her point across. 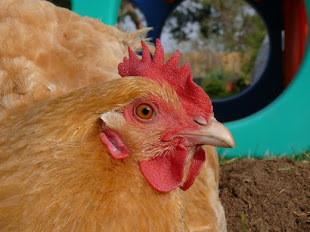 And she has a little chin hair. I have a little chin hair. Just one. It makes me cranky too. I thought Hazel was on her best behavior. I appreciate that. 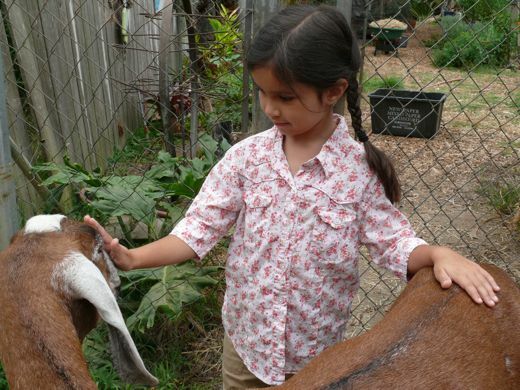 Maria paid close attention to how Olivia managed Hazel and all the goats, because she wants to help take care of them, and also, because she did not want to get "butlered." Butler: verb to shove or strike with the head or horns, to come into conflict. And even though she did get butlered a little bit, Maria never lost her nerve or interest. 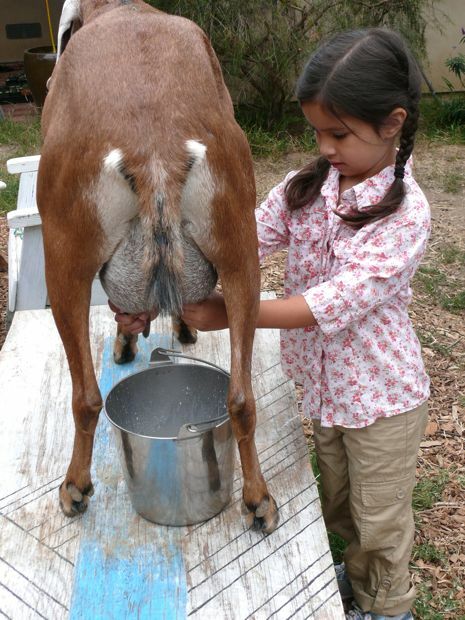 Grandma, they make soap with the goat's milk. I haven't tried it, but I am curious. I bet that's something you and Mom could find in Oregon. 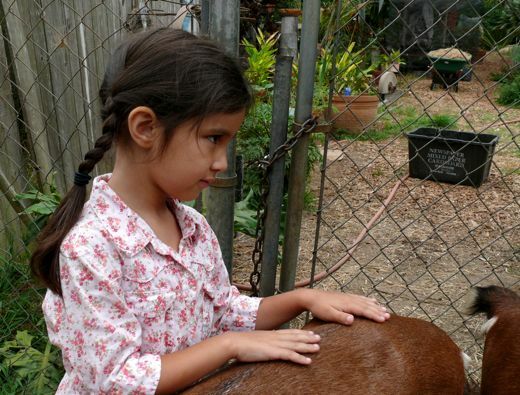 We taught Maria to stand strong, which works most of the time, and probably only with friendlier goats. Then when Maria saw Olivia brushing Hazel, she wanted to try it too. Who could feel cranky while getting their hair brushed, right Hazel? Sandy and I put gardenias in Maria's hair. We visited the big heirloom turkeys, and saw hollyhocks, and green pumpkin on a trailing vine. 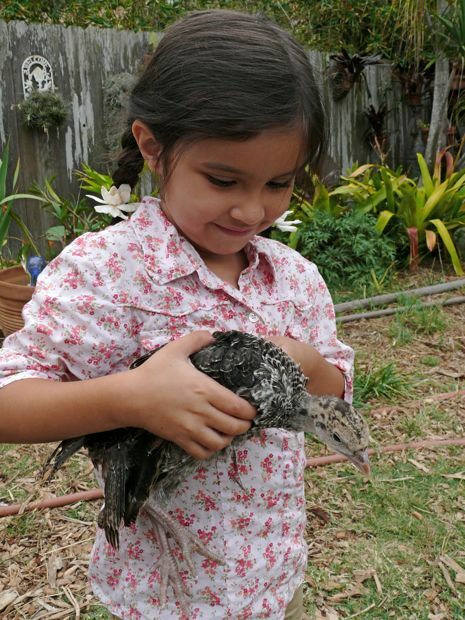 And Maria held the pullet. A lone chica lving with two young turkeys. Young turkeys are far more manageable than grown-up turkeys. And here is Gus. 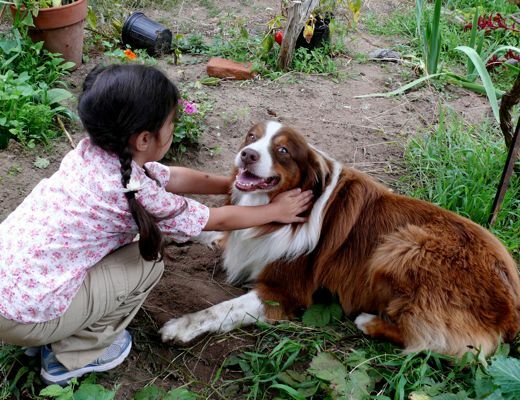 He is a good boy, and carries a slobbery tennis ball... just in case you want to throw it for him, which Maria was happy to do. So, Grandmother, we wish you a happy birthday, and we hope you enjoy a beautiful day. Take lots of pictures. Be sure to let everyone indulge you and pamper you. We send our love, our best thoughts, our fullest hugs. Way way way too much cuteness. 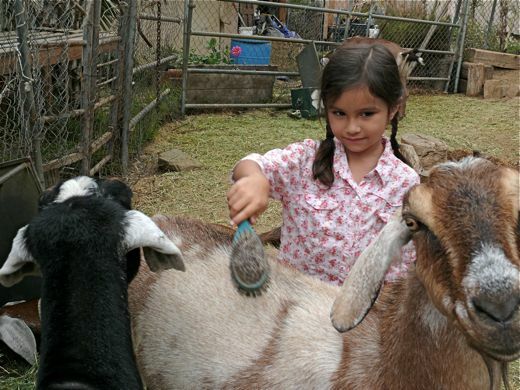 I'm so impressed with Maria's ability to milk goats (I bought some goat's milk soap when I was in TX) and keep from getting butlered. A very happy birthday to your grandmother! I think you have done lots of things your grandmother would like to do. There is no awe like Crater Lake. Blue, blue water, clear skies and awesome. Love the picture of Maria standing strong - what a great lesson to teach a growing girl! Natalie, your pictures are so beautiful! And Maria is just the perfect model. And just a single chin hair?? Oh my, you lucky girl! Happy birthday, Eunice! Natalie, please tell your grandmother that her bravery and strength have been an inspiration to me. 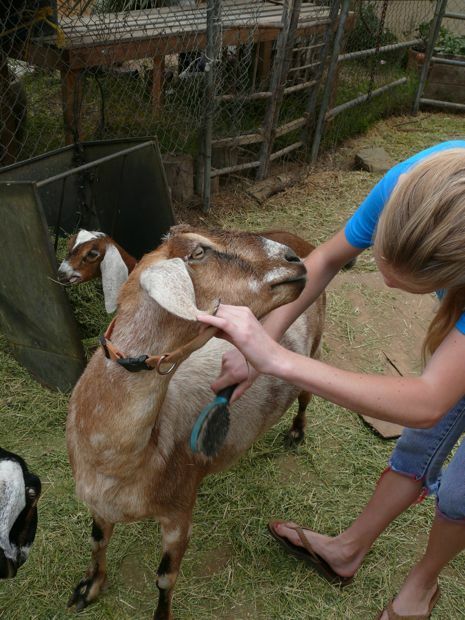 LOVE the goats, wow, it is not that easy to milk one. I have done it and not well. Have a good week, mi amiga. Happy happy birthday to your grandmother! Yes, we miss Grandma so much, too! Thank you for writing to her and about her. Wishing her a very Happy Birthday! My grandparents had some milk cows! Not many just enough!